After the COP21 talks in Paris, many eyes are again focusing on the role that companies and financiers can play in reducing climate change, writes Anne van Schaik. Anne van Schaik is Accountable Finance Campaigner at Friends of the Earth Europe. Friends of the Earth is concerned about the effect that the devastating forest fires in Indonesia have had on CO2 emissions and how these fires can be prevented in the future. This year’s fires caused enormous health and environmental problems for hundreds of thousands of people in Indonesia and neighbouring countries. On certain days the emissions from the fires alone soared to almost 97% of Indonesia’s total emissions. In a report published on 8 December, Friends of the Earth groups from Indonesia, Europe, Netherlands and the US described how they have discovered a large number of forest fires on Indonesian plantations owned by global palm oil companies Bumitama and Wilmar International. These companies receive funding from European financiers like HSBC, Credit Agricole, Rabobank and the Dutch pension funds PfZW and APG. 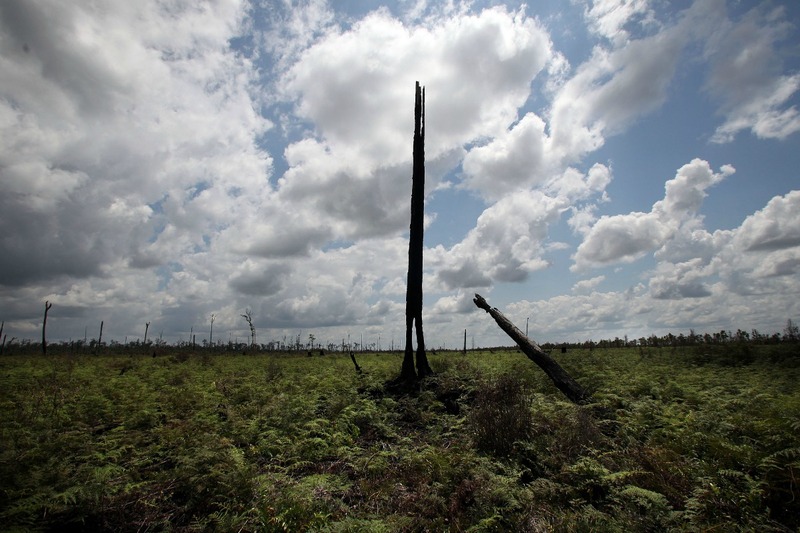 Despite new evidence that both companies violate their own ‘no deforestation’ policies, these investors have not taken significant steps to address these problems. This shows yet again that we cannot rely on companies and financiers to reduce their contributions to CO2 emissions by forest fires voluntarily. Financiers linked to Wilmar and Bumitama should withdraw their financial services to both companies, as they have repeatedly proved they are not able to respect their own sustainable policies. The European Council and Parliament should regulate these European financiers, for example through the Shareholder Rights Directive, or the Pension Fund Directive. If the progressive amendments in the text are adopted shareholders and investors are obliged to take Environmental, Social and Governance issues of their investee companies, like the palmoil companies, into account. In addition to this, new and binding rules on transnational corporations and financiers must be introduced. In June 2014 the UN Human Rights Council adopted a historic Resolution which calls for the elaboration of a legally binding instrument on TNCs with respect to human rights. The European Commission and the member states should embrace this initiative and support this opportunity to provide a true level playing field for its businesses and financiers wherever they operate.